According to NASA scientists, a 45 year old mystery has been solved using gravitational theories. But have conventional ideas failed to consider the most powerful force in the universe? Messier Deep Sky Object 106, or NGC 4258 is pictured above. The bright tracery of a "star forming region" can be seen around the galactic equator, extending in two barred-spiral arms that stretch out from the center. 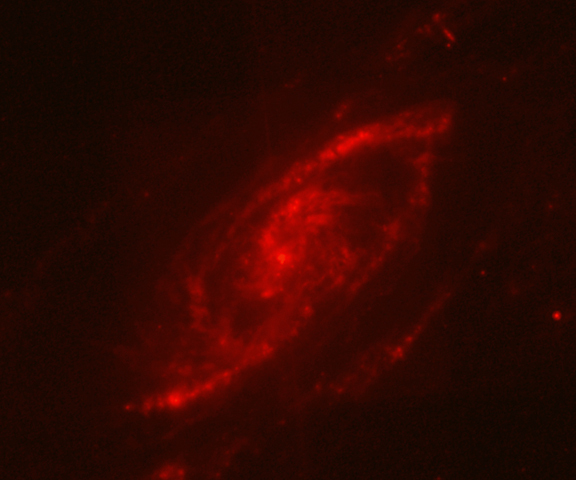 However, in a recent Chandra x-ray image, other spiral structures can be seen that don't align with the spinning plane of the galaxy. Furthermore, another arm, also not in the same orbital plane with the other two is visible in radio images taken by the Very Large Array. 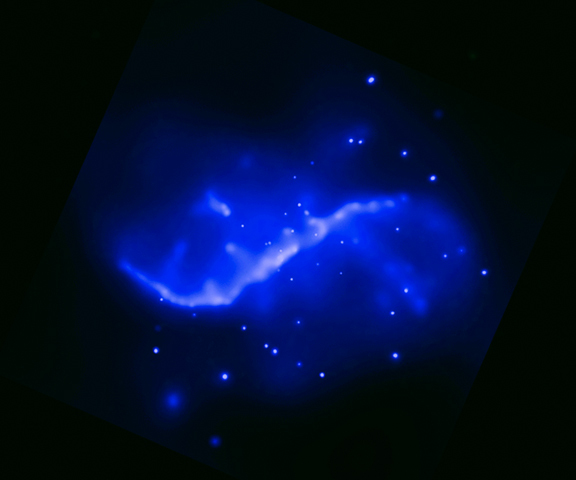 "But in radio and X-ray images, two additional spiral arms dominate the picture, appearing as ghostly apparitions between the main arms," says team member Andrew Wilson of the University of Maryland. These so-called "anomalous arms" consist mostly of gas. 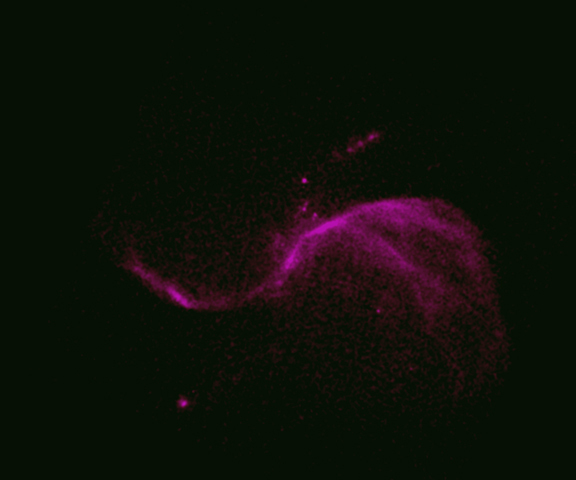 "The nature of these anomalous arms is a long-standing puzzle in astronomy," says Yang. "They have been a mystery since they were first discovered in the early 1960s." The additional arms are unexplained because they occur along the paths of highly energetic particles being ejected from the galaxy's central region. However, when two such pairs of jets were discovered, tipped at thirty degrees from the plane of the galaxy, the puzzle deepened because no galaxy has been observed with two active jets occurring at the same time in different alignments. Because of that difficulty, the original surmise that a black hole was responsible for the energetic emissions was abandoned, although a black hole is still thought to be the source for most of the energy coming from the galaxy. Now, with these new observations, the hypothesis has shifted to shock waves traveling through the gas and dust in the "anomalous arms." The violent expansion of the shock waves heats the gas to such a degree that it generates x-rays strong enough for the Chandra experiment to detect. "One of the predictions of this scenario is that the anomalous arms will gradually be pushed out of the galactic disk plane by jet-heated gas," says Yang. "The XMM-Newton spectra show that X-rays are more strongly absorbed in the direction of the northwest arm than in the southeast arm. 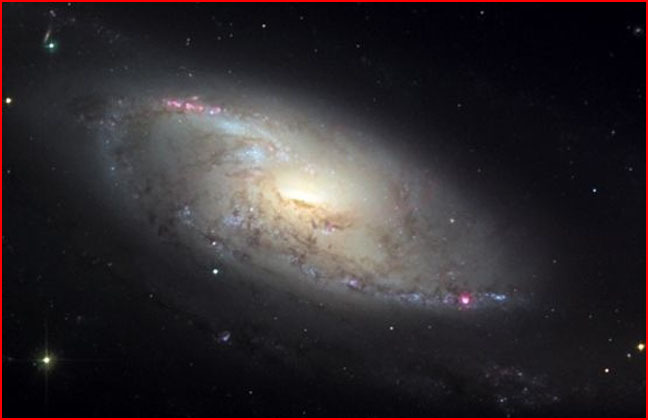 The results strongly suggest that the southeast arm is partly on the near side of M106's disk, and the northwest arm is partly on the far side." 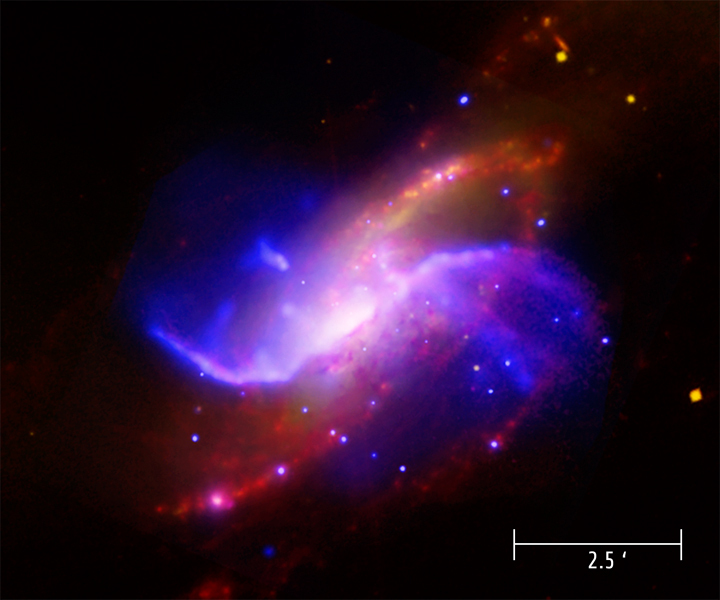 Using archival data from the Spitzer Infrared Space Telescope, scientists compared data from 2001 with more recent images and determined that the heat is being absorbed by warm gases along the axis of the galactic arms in M106. How many more times will NASA observers ignore the obvious conclusions to their observations and admit that electrical forces are creating the x-rays and the "mysterious" arms that they see? By relying on gravity and "hot gas" as their only recourse for explanations, the effects of charged plasma in space are not given credence. Therefore Birkeland currents and their twisting formations when they pass through ionized plasma are not mentioned. Nor is the way that x-rays and other high energy emissions are generated by the pinch effects in such currents discussed. Electricity in space is discounted as a source for observations, because astrophysicists aren't trained to consider it. By ignoring that information even more mysteries will be created instead of answers and more problems will be produced instead of solving the old ones.